- Oracle&apos;s 2013 season seeks to answer the question, "How do we use art to make society better?" with productions of Accidental Death of an Anarchist, The Mother and Waiting for Lefty. 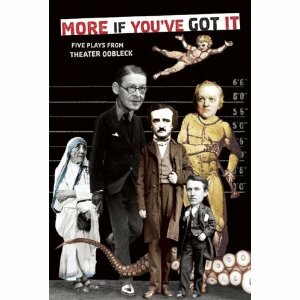 - Theater Oobleck is having a release party for their book More If You&apos;ve Got It: Five Plays from Theater Oobleck tonight at the Hideout and it is free. - Here is a story in the Sun-Times about Gina Milo (who plays Kira in Xanadu) getting better at rollerskating for her role. The headline? "Actress rolling along for &apos;Xanadu&apos; character." - Rehearsals for Steppenwolf&apos;s Who&apos;s Afraid of Virginia Woolf?, which is moving to Broadway, started today.